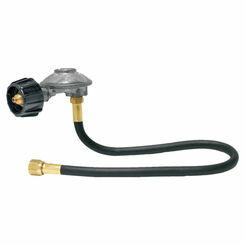 PlumbersStock offers a wide selection of sizes and models of flex gas lines for a variety of applications, including water heaters, clothes dryers, gas ranges, furnaces, fireplaces, and more. 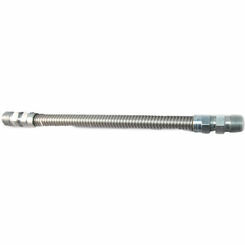 When you shop with us, you enjoy a gigantic inventory of the lowest prices on the web when it comes to plumbing and HVAC parts. 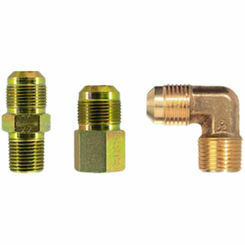 Shop and save on various supply lines for many different applications with PlumbersStock. 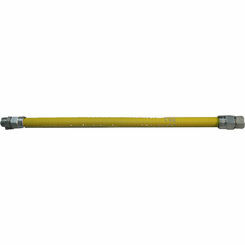 What Is a Gas Supply Line? Usually made of stainless steel, these durable and flexible connectors allow you to conveniently run a supply line from your gas source to an appliance. 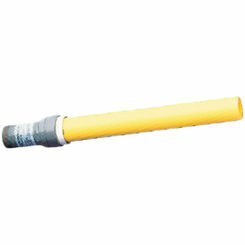 Typically, they range from 1/2” to 1” in diameter and from 12” to 48” in length. 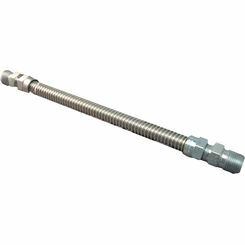 The fittings are pipe threaded for a tight connection, and the line is corrosion resistant for improved safety. 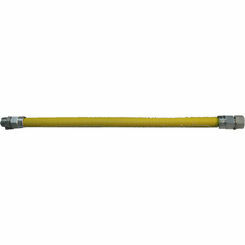 Most any flexible gas line has broad application capability, but you will want to take care to ensure you get the connector to meet your intended purpose. 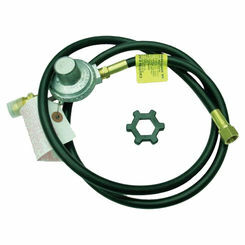 Depending on the use, you may need a high BTU line. British thermal units measure how much energy is required to heat one pound of water, increasing its temperature by one degree. Obviously, this will come into play when considering a water heater installation for a large home. 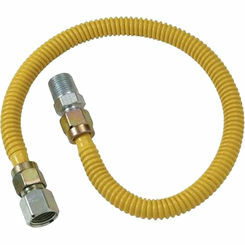 A tankless water heater will require a supply line as well, so make sure you get a compatible flex connector. To connect a gas fireplace, you will want to select a “low visibility” flex line to ensure that it does not detract from the aesthetics of the installation. Additionally, low visibility may be ideal if you want to connect a space heater. 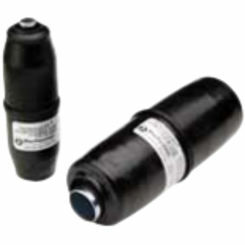 Flex connectors are compatible with a variety of gases, meaning you do not need to find one that is propane-specific. 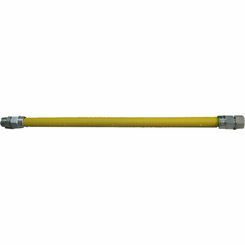 Your flexible natural gas line can become a propane line if need be, just make sure to clean it properly before repurposing it. Your appliances need to be connected with a dependable part, which is why these lines are made of stainless steel and built to last. 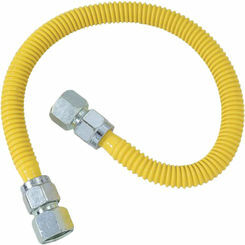 At PlumbersStock, we only carry trusted names, like Dormont. With 60 years of industry experience, leading the way in quality and innovation, they have carved out a proud reputation among consumers and professionals alike. Dormont was selling stainless steel flex lines before the competition even existed. 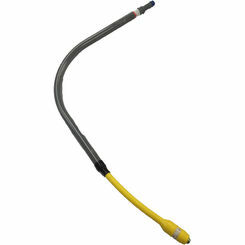 Flexible gas supply lines are a small investment and we urge you to choose a durable solution. 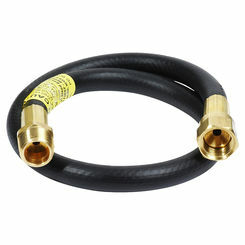 Faulty gas lines can produce ugly results, so choose wisely and install carefully. 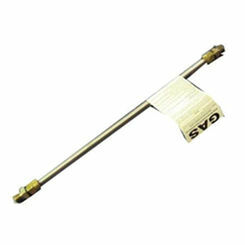 We also carry Elster gas supply lines.